While those beautiful soft structured carriers in fun prints (you know the ones I'm talking about) are tempting, $150 - $1000+ is a lot of money to spend. But babywearing doesn't have to come with a huge price tag. 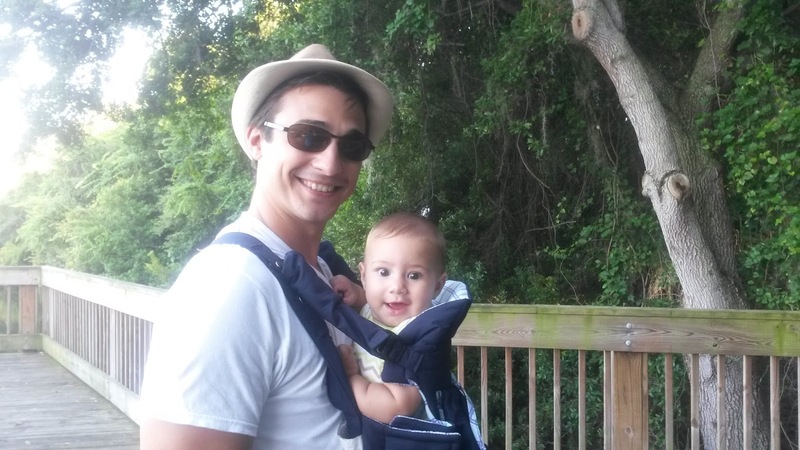 Here are some tips for babywearing on a budget. FREE Pouch Slings - We have teamed up with SevenSlings.com to bring you freepouch slings! Just use our promo code COFFEEMOM1 on their website and pay shipping. These slings are great for around the house wearing or short trips out. I love using mine for an easy hip carry. I just pop my baby in and go! They have a ton of cute prints available and you can upgrade to personalize yours with embroidery. Ring Slings - Ring slings are great for many reasons. They are simply to use, adjustable as baby grows and work for a few different types of carries. Thanks to sites like Etsy.com you can find ring slings for under $25. Just make sure you purchase from a reputable seller. 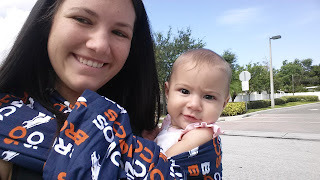 If you are handy with a sewing machine, you can make your own ring sling for even cheaper! I had my ring sling custom made by an Etsy vendor with my favorite sports team for only $30! Wraps - Stretch wraps like the Moby wrap or Boba baby wrap are great for young babies although they do have a little bit of a learning curve. Keep an eye out for sales and coupons and you could score one of these wraps for $30 or less! Woven wraps can be found on some sites, like Etsy, for affordable prices. 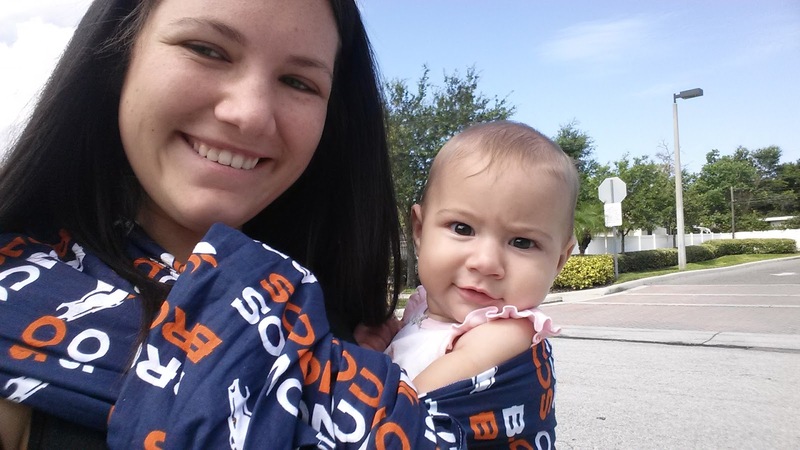 Wraps are another easy to make baby carrier if you like to sew. Soft-Structured Carriers - If you're willing to forgo the pretty prints and expensive brands, you can get a SSC for an affordable price. Mei tai and Infantino can be found at price points under $30. Just make sure you find one that has knee-to-knee support for baby, puts the baby in the seated M leg position and doesn't let the legs dangle. Buy Used - Check your local babywearing groups for used baby carriers. I have seen on numerous occasions, carrier donations to families in need. You can also get some great deals on used carriers in these groups.